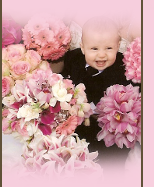 Contact our flower shop in Santa Clarita, California, for same day flower delivery services of beautiful flowers. Below is a list of locations and zip codes that Claire's Flowers delivers to. We aren't limited to those locations. We also deliver outside the area and provide a service to wire flowers to locations all over the world!